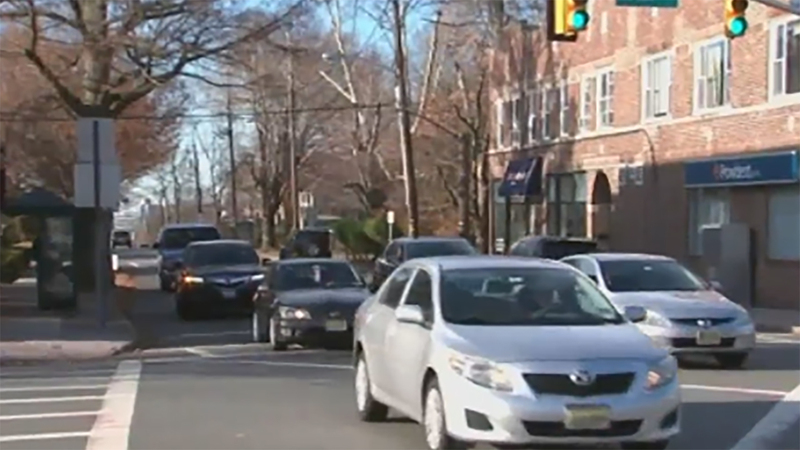 LEONIA, New Jersey (WABC) -- A ban taking effect Monday in a New Jersey town will close streets to nonresidents during rush hour to curtail traffic. Leonia will close off access to local streets during the morning and afternoon rush hours. Violators could face a $200 fine. Officials say it's all because popular traffic apps like Waze and Google Maps steer traffic onto Leonia roads whenever there is a major traffic delay heading to the George Washington Bridge. Motorists who use the apps to find shortcuts are directed to use the tiny borough as a cut-through. Officials say the subsequent congestion causes major traffic for locals and makes it difficult for emergency personnel to travel through the town. Town residents have received yellow tags for their cars that allow them to travel on the shuttered roads. The nearby town of Fort Lee, which sits in the shadows of the George Washington Bridge, already limits traffic on local streets for motorists heading to the bridge.